Innovative Electric has a reputation for being the best. For over 25 years, we have been serving the Inland Empire and it’s surrounding areas. Our friendly staff and professional electricians promise to give the service you deserve. We do it all, call today for your free estimate! We are available 24/7 for your electrical emergencies. If you need our experienced, professional assistance with your project we offer electrical consulting services. When others fail, we excel. We have the years of experience to troubleshoot intricate electrical issues. Stop electrical problem before they start. Schedule electrical maintenance service today. Improve the look and value of your property with high-quality custom lighting solutions. IES is a proffered vendor for routine electrical service on rental properties. IES shows up on time so your construction projects meet their deadlines. Installation and Maintenance for high reach lighting areas. New installs and maintenance for your pool and spa equipment. Let IES make your event or wedding truly outstanding with our event lighting services. Call today for more information. Call the experts at IES for ceiling fan installation and maintenance. IES specializes in commercial lighting applications such as parking lots and other area lighting. Leave the headache of holiday lighting to IES. We will make your home stand out in your neighborhood with none of the hassle. Need a electrical job to pass a code inspection? Our experts will update your property to ensure compliance with California code. 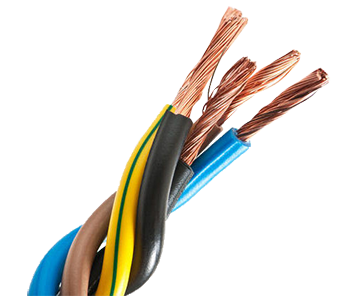 Updating dangerous old residential wiring systems is a must, call us today to schedule a residential rewire. If you need more power or are looking to upgrade appliances, call IES to upgrade your electrical service or panel. We are experienced installers of commercial signage or monument lighting. IES is a trusted partner of retail stores in the Inland Empire. Call us for all your commercial or retail lighting needs.